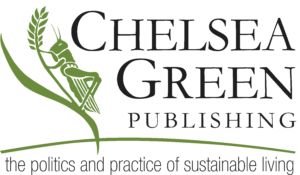 This is the first book to explore how to use permaculture design and principles for people – to restore personal, social and planetary well-being. People & Permaculture widens the definition of permaculture from being mainly about land-based systems to include our own lives, relationships and society. This book provides a framework to help each of us improve our ability to care for ourselves, our friends, families and for the Earth. It is also a clear guide for those who may be new to permaculture, who may not even have a garden, but who wish to be involved in making changes to their lives and living more creative, low carbon lives. People & Permaculture transforms the context of permaculture making it relevant to everyone. Looby has been teaching permaculture since 2002, and is partner of a leading teaching and consultancy partnership, Designed Visions (www.designedvisions.com). She runs full permaculture design courses as well as teacher training, advanced permaculture design and peoplecare courses. Looby travels to Nepal to support the Himalayan Permaculture Centre and has founded a Fair Trade business, Spirals of Abundance, importing organic cotton clothes and other Nepalese handicrafts. She has supported the development and growth of permaculture nationally through her input as trustee of the Permaculture Association (Britain) for 5 years (2001-2006) and was the Chairperson for two of these. Looby lives in Herefordshire with her partner Chris Evans and two daughters. She enjoys singing, yoga, gardening and making all sorts of things from cakes to wine and clothes to blankets. 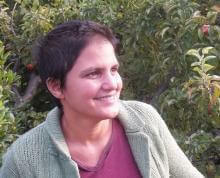 She is the author of People & Permaculture: Caring & Designing for Ourselves, Each Other & the Planet.